How can Dr. Lin help? Lip augmentation specialist, Dr. Susan Lin, can complete the procedure in only 15 minutes and the results can last from 6 months to two years. Amazing, right? Yes, you can forget all about the time consuming application of lip fillers, plumpers or contouring products. 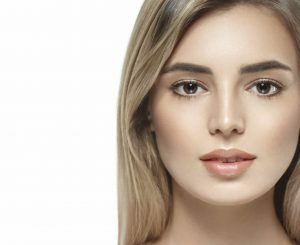 Lip augmentation is an extremely effective, safe and simple office procedure where a gel filler made from Hyaluronic Acid is injected into the lips to make them softer, fuller, brighter and even to a desired color. How long do the results of Lip Augmentation last? 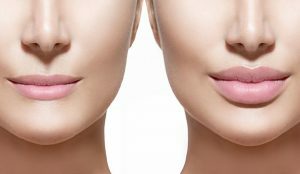 The result of lip augmentation can last for as long as 6 months and up to two years, depending on the type of product injected into the lips during the procedure. It is important to keep in mind that the duration and results of the procedure vary from person to person, no two procedures are alike. How long does the Lip Augmentation procedure take? The procedure normally takes about 15 minutes. There is an additional time set aside for numbing to minimize any discomfort. Does the Lip Augmentation procedure hurt? The lip area is very sensitive so only trust your face to an experienced physician such as Dr. Lin who will make the procedure as easy and painless as possible. You will be asked to provide photographs of examples of your desired lip shape. These can be emailed or brought with you on your initial consultation. It is very important that you are aware that at times multiple visits will be required to achieve your desired results. The cost of lip augmentation is determined by the quantity and type of product to be used by the doctor but usually ranges from $600 to $1200 on average. Lip augmentation is reversible! Yes, you read that right. Although there can be some swelling the day after procedure, negative effects generally subside in about two days requiring no down time. What are the most common side effects of the Lip Augmentation treatment? The most common side effects of lip augmentation may include swelling, redness, bruising and some tenderness. In some very rare instances tiny lumps can develop although they generally clear out in about one to two weeks.